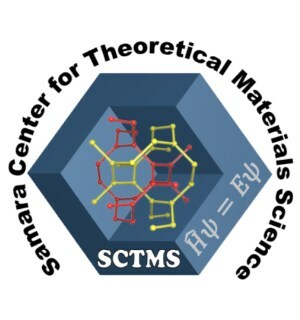 Opening ceremony will take place at the conference hall of Samara Center for Theoretical Materials Science of Samara State University (Lecture room L-15, Akademik Pavlov St.) on the 12th of August. The director of the Center Prof. Vladislav Blatov: “We have already conducted ten international scientific schools around the world: in Italy, Spain, Germany, France, Switzerland, and the USA. Now we have financial means to hold the international school in Russia”. The School is organized by Samara State University and Samara Center for Theoretical Materials Science (SCTMS) within the Megagrant of the Russian Government. The participants represent Indian Institute of Technology (Kanpur, Indore, Dehli), Indian Institute of Technology Guwahati Assam, Northwestern Polytechnical University (China), King Abdulaziz University Jeddah (Saudi Arabia), University of Sao Paulo (Brazil), Wroclaw University of Technology (Poland), Moscow Institute of Physics and Technology and others. The school programme includes lectures and workshops on various aspects of materials science and prediction of new materials’ properties. Moreover, the participants will study the analysis methods of solids’ properties. Prof. Davide Proserpio (the University of Milan) and Prof. Vladislav Blatov (Samara State University) will lecture and work with the participants.